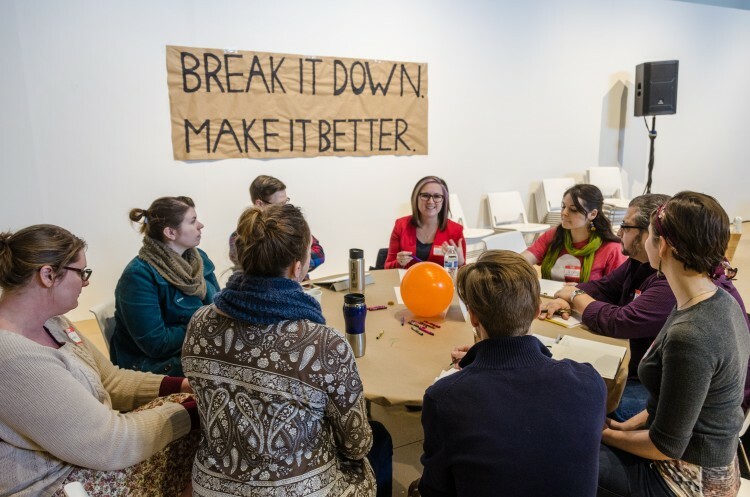 Break it Down, Make it Better is an ongoing series of conversations and events featuring year-round educational programming, workshops, and professional development opportunities for artists, curators, and venue coordinators in our community and region. These programs are presented through an ongoing partnership between the Avenue for the Arts and ArtPrize. The next two sessions will focus on successful business practices for artists, and you’re invited. Join us for Break It Down: Trade Secrets at the Avenue for the Arts [Work] Space on August 5, from 7 – 8:30 p.m. to learn more about how to build a successful professional practice that allows time for you to focus on creating art. Five artists will be giving insight into how they structure their daily artistic business and provide tips for best practices. Dinner will be provided. And on August 26, from 5:30 – 8:30 p.m. at the 106 Gallery, join us for Break It Down: Tales of Sales. Seven artists will share how they successfully market their work, as well as provide advice for emerging artists. After the presentation, attendees will be invited to join in round table discussions where they will have the opportunity to engage in a more intimate discussion with the speakers. Both events are open to the public, and reduced-priced tickets are just 5.00 for ArtPrize Seven artists and venues with a promo code (see below to get your code). Space is limited, and it’s highly recommended that attendees register in advance. August 5 | 7 – 8:30PM | Avenue for the Arts [Work] Space | 307 S. Division Ave.
August 26 | 5:30 – 8:30PM | 106 Gallery | 106 S. Division Ave. Need the code for your registration? E-mail artists@artprize.org or venues@artprize.org. Break it Down, Make it Better. is a collaboration between ArtPrize and Avenue for the Arts support staff, housed at Dwelling Place. 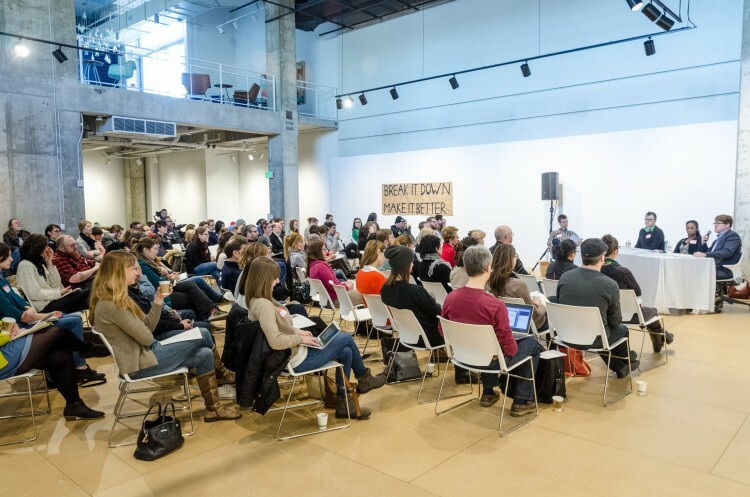 The Avenue for the Arts and ArtPrize are partnering to engage speakers, artists, curators, and documenters in an ongoing dialogue about the making of an art show. Dwelling Place’s Neighborhood Revitalization Department works to promote economic development in the Heartside area. Working to enhance not only the physical appearance of the commercial district, Dwelling Place seeks to promote the commercial district's assets to customers, investors, businesses, visitors, and citizens. The Neighborhood Revitalization Department builds upon the existing economic base, promoting new business development. ArtPrize is a radically open, independently organized international art competition and a 501(c)(3) non-profit organization. ArtPrize provides a platform for anyone over the age of 18 to be an artist, any space within the ArtPrize district to be a venue, and anyone who loves art to get involved.